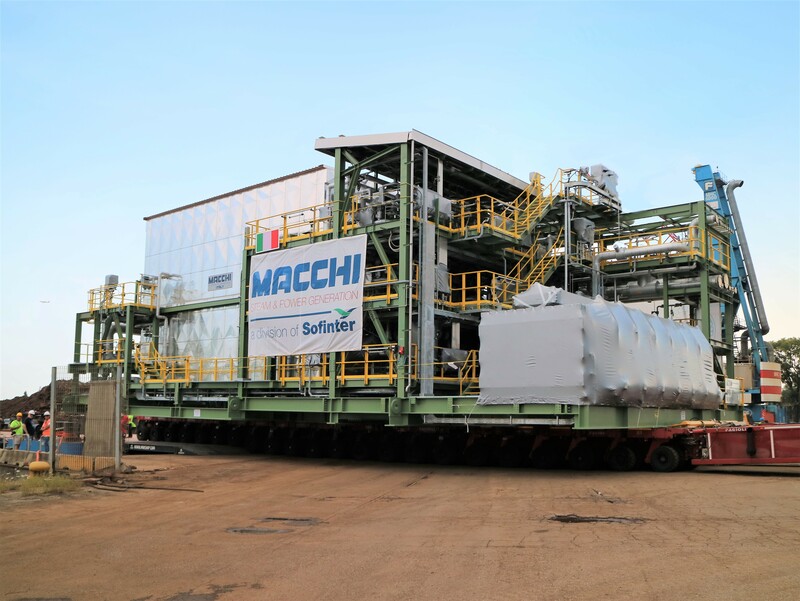 MACCHI has shipped the first out of three Titan M “Plug & Play” from Marghera Port to Kazakhstan. In three years, the “Plug & Play” boilers shipped from Porto Marghera are 21. The “Plug & Play” level of prefabbrication was designed to optimize the interface points (electrical and mechanical) with the Customer and to speed up the time for installation and start-up of the boiler. These modules (dimensions L 29,95 x W 15,98 x H 11,32 m and weight 622,8 tons) are the pinnacle of prefabbrication never achived before by MACCHI. In addition to the main components, such as pressure parts, interconnection piping, tanks and heat-exchangers, glycol cooling system, lighting system, electrical heat tracing and fire detection system with sirens and alarms were also installed (laying and connecting about 15km of cables). All components’ functionality have been tested operatively with the Customer in our shop, anticipating the cold commissioning phases.